If you’re looking for a remote island wilderness where you can hike jungle trails, swim at remote beaches and scuba dive in rich coral reefs, Con Dao National Park can deliver it all. The park surrounds the Con Dao Archipelago, including a large area of the ocean around the islands as well. At the middle of this group of 15 islands and islets is Con So, the largest of the island, and it’s here that most visitors spend their time. The island was formerly used by the French and South Vietnamese as a prison camp, but today you can find a handful of hotels and a dive shop that offers boat trips to the surrounding reefs. Just a few minutes outside of the town, you can visit the National Park Headquarters to arrange trips to other islands, hire guides for treks into the interior, and buy permits for access to certain parts of the forest. 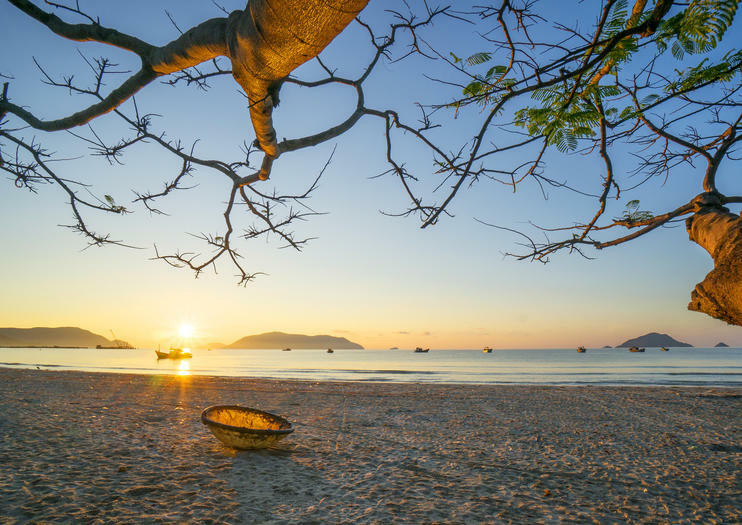 Visitors can get to Con Dao National Park from Ho Chi Minh City either by plane, there’s a small airport on the island of Con So and flights take about 45 minutes, or by overnight ferry from Vung Tau Port, which takes 12 hours. Explore one of Vietnam’s most enchanting landscapes on this 2-night tour of the Con Dao National Park from Ho Chi Minh City, including accommodation, meals and airport transfers. Uncover the history of notorious Con Son Island as you visit its colonial-era prison, now a museum, the Hang Duong Cemetery and the ‘tiger cages’. Spend the rest of your time touring the island’s beautiful temples, browsing the lively markets and visiting sandy beaches, where you can enjoy activities like swimming, snorkeling and kayaking (own expense).